What are the advantages of Multilotto.co.uk? Thanks to Multilotto.co.uk you can now win the world’s biggest jackpots without having to fly to another country to place a bet. We offer our players the chance to win the biggest jackpots in the world, including America’s Powerball and Mega Millions. Players can also benefit from unique features like Group Play, while we also offer our loyal customers bonuses and other special offers. Multilotto.com began building the first version of our platform in fall 2010 and launched in late summer 2011. Our UK site launched during 2017. Does Multilotto.co.uk have a mission? Our mission is to become the world leader in online lottery betting, providing an unparalleled customer experience for our players. We want to be the place customers in the UK think about when they want to win a truly massive jackpot! Powerball is an American lottery game sold in 44 jurisdictions as a shared jackpot game. 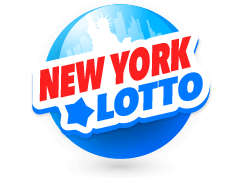 It is coordinated by the Multi-State Lottery Association (MUSL), a non-profit organization formed by an agreement with lotteries. Powerball is a game whose advertised jackpot starts at $40 million and can roll into hundreds of millions over many drawings. To bet on Powerball, players choose 5 numbers from a guess range of 1-69 and an additional number (the Powerball) from a different guessing range of 1-26. At the time of the lottery draw, the additional number (the Powerball) is drawn from a separate drum. The additional number allows lottery players to win secondary prizes and is essential to complete the jackpot winning number selection. Players can pick their numbers manually, use their pre-selected numbers (Favorite numbers), or have their numbers randomly chosen (Random). Additionally, players can choose a Subscription to ensure they never miss a draw. 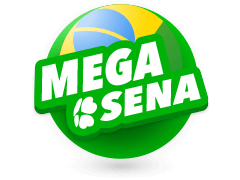 Mega Millions is one of the most famous lotteries in USA. To bet on Mega Millions, players choose five numbers from a guess range of 1-70 and an additional number, the Mega Ball, from a separate number matrix with a guess range of 1-25. The additional number is required to win the Mega Millions jackpot, as well as for several secondary prizes from the lottery’s nine prize categories. Players can pick their numbers manually, use their pre-selected numbers (Favorite numbers), or have their numbers randomly chosen (Random). Additionally, players can choose a Subscription to ensure they never miss a draw. Mega Millions jackpot starts at $40 million. Eurojackpot is a new transnational European lottery launched in March 2012. 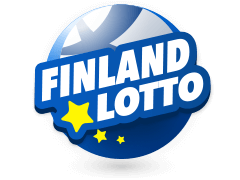 The jackpot will start at €10,000,000 and can roll over up to €90,000,000. The goal is to match 5 correct numbers out of 50 plus another 2 supplementary numbers out of another 10 (since the 4th of October 2014). Drawings are every Friday. To bet on the Eurojackpot lottery, players first select five numbers from a guess range of 1-50 as well as two additional numbers from a separate guess range of 1-10. The additional numbers allow lottery players the possibility of winning supplementary prizes and are also essential to complete the jackpot winning numbers selection. The Bonoloto uses a single-drum lottery system. To bet on the Bonoloto, choose 6 numbers out of a 1-49 range. During the draw, a seventh number will be selected. This bonus number, or “complementario” number, cannot contribute towards a jackpot-winning prize combination. However, matching five main number draws plus the complimentario number entitles players to the second prize. Players can select an 8 line form or enter the draw with a systematic form of 8, 9, 10, or 11 numbers. A system game produces all possible combinations of the selected numbers and increases players’ chances of winning a prize. Players can choose numbers manually, have the numbers randomly selected by the system (Random), or draw the number selection from saved numbers on Multilotto.co.uk (Favorite numbers). In 2013, La Primitiva made its mark on the list of the world’s biggest lottery wins. 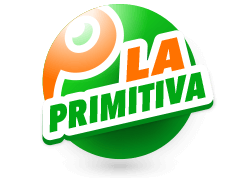 You can bet on La Primitiva online at multilotto.co.uk, a modern, safe and convenient way of betting on your lucky numbers and participating in an over 200 years old lotto tradition! 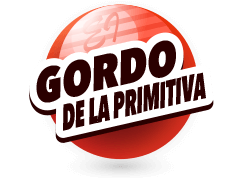 The El Gordo de La Primitiva is held on a weekly basis, every Sunday in Spain. Just select 5 numbers from 1 to 54 and a key number from 0 to 9. This key number will be the same for all bets on your lotto betting slip. You will win a prize if you get at least two numbers right. If you only get the key number right you will receive the amount bet on the slip. Draws take place on Sundays at 9:00 pm (Spanish time). The Irish Lottery takes place twice a week on Wednesdays and Saturdays and features jackpots worth at least €2 million(£1.5m)– the record jackpot was over €9 million (£8.3m)! Betting is easy – simply pick 6 numbers from 1-47 and if you match them all you’ll win the jackpot. Bets cost only £2! 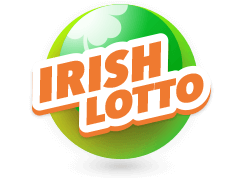 The Irish Lotto offers some of the best odds of hitting the jackpot of any of our lotteries. Try it for yourself and see if you have the luck of the Irish! The Polish Lotto is one of our best value lotteries, costing just £1, offering great odds of hitting the top prize and jackpots regularly in excess of £2 million. The record jackpot is in fact close to £9 million – so it’s easy to see why this lotto is such a big hit! Draws take place three times a week at 7.40pm (GMT) and you can check results quickly and easily on our results page. Betting on the Polish Lotto is really easy. Just select 6 numbers from 1-49 and if you guess them all correctly you’ll win our jackpot! If you fancy a cheap, exciting lottery then bet on Polish Lotto today. 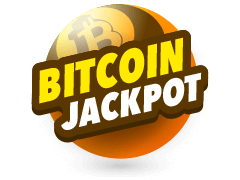 Bitcoin is the cryptocurrency sensation that is sweeping the world and now you can get your chance to get a piece of the action by betting on Bitcoin Jackpot Lottery, which offers a top prize of a set amount of cash equivelant to a set amount of Bitcoins. The draw takes place every day of the week, apart from Sunday, at 8.30pm and it costs just £3 for a single bet. When you bet on Bitcoin Jackpot Lottery, you’re actually betting on the results of the Spanish Bonolotto. However, if you win you’ll receive our top prize of Bitcoins. You can also choose the cash equivalent. To bet simply choose six numbers from 1-49. If you match all numbers correctly you’ll win the top prize! What is the Poland Mini Lotto? 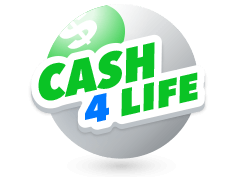 The Canada Lotto 6/49 is the national lottery of Canada. Players from Canada and also from around the world can easily bet on this lottery online at Multilotto! 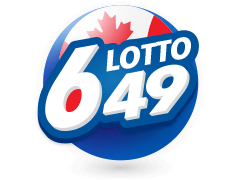 The Canada Lotto 6/49 has a big jackpot and also better odds than many similar lotteries. The odds of winning the jackpot is 1:13,983,816. The draws takes place twice a week, on Thursdays and Sundays at 03:30 CET and one bet costs CAD 3,75 (€2,50/£2.50). It’s a brand new lottery exclusive to Multilotto where you could win a jackpot of €1 million or a boosted jackpot of €790 million, six times a week! Bet slips for the regular Oktoberfest lottery cost just €1.5 and are only available here at Multilotto. 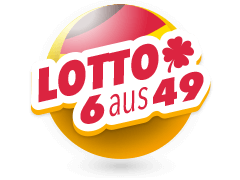 It combines two of our smaller, most popular, European lotteries: the Bono Lotto and the Polish Mini Lotto. To bet on this lottery you need to choose 6 numbers from 1 to 49 and another number from 1 to 42 as your special number, for a chance to win the incredible jackpot. To win, your first six numbers need to match the six main game numbers on the official Bono Lotto draw while the bonus number needs to match the first number drawn on the Polish Mini Lotto. Draws take place Monday, Tuesday, Wednesday, Thursday, Friday and Saturday at 20.30 GMT. You will only find the Christmas Lottery here at Multilotto. With a jackpot of €10 million and with a chance to boost the jackpot up to €1 Billion, you have a chance to win these jackpots every day of the week, except Sunday. Single bets cost £2 for a regular bet and £6 for a chance to go for the €1 Billion jackpot, but remember, you can only bet on the Christmas Lottery here at Multilotto. Choose 6 main game numbers between 1 and 49 and 1 bonus number between 1 and 42 to bet on our Christmas Lottery. 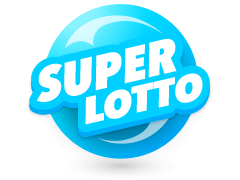 It combines two of Europe’s smaller but popular lotteries - the Spanish Bonoloto and Poland’s Mini Lotto. To win the Christmas Lottery jackpot your main game numbers will need to match those drawn on the Spanish Bonoloto and your bonus number will need to match the first number drawn on the Poland’s Mini Lotto. Draws take place Monday, Tuesday, Wednesday, Thursday, Friday and Saturday at 20.30 GMT. Merry Christmas! Yes we do. This service operates under Casino license from the Gambling Commission - UK License Number: 000-047707-R-326101-001 issued on 19/04/2017. Once I register at Multilotto.co.uk, will my information be secure? You can check the results at our results page here. You can always compare your bets in your Dashboard at Multilotto.co.uk. 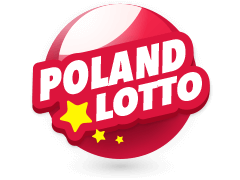 Poland Mini Lotto: Click here. Check your Dashboard in your Multilotto.co.uk account or in our Results page. The lottery results will be there 15-20 minutes after the drawing. You will, no matter the size of the winning, receive a notification email from multilotto.co.uk. All winnings are automatically credited to your online players account and can be transferred to your personal bank account within a few clicks.